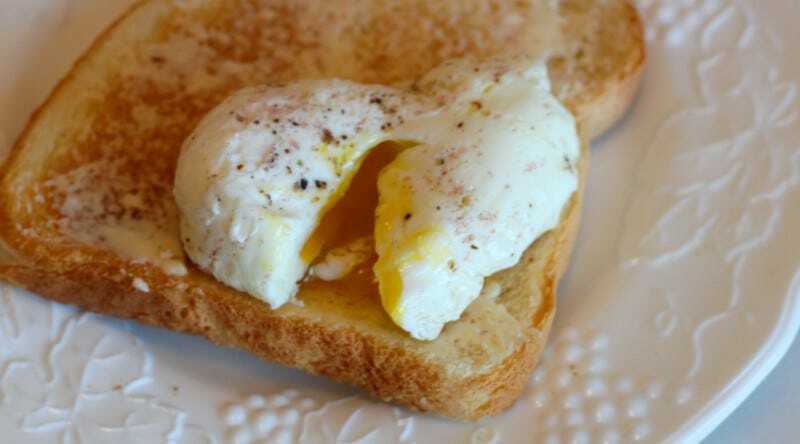 Poached eggs are the super stars of brunch and the heroes of salads that eat like a meal, but many a home cook is put off by the process of cooking one. If you are skittish about dropping a raw egg into simmering water, relax, it's not as hard as it's cracked up to be. Use simmering, not boiling water. 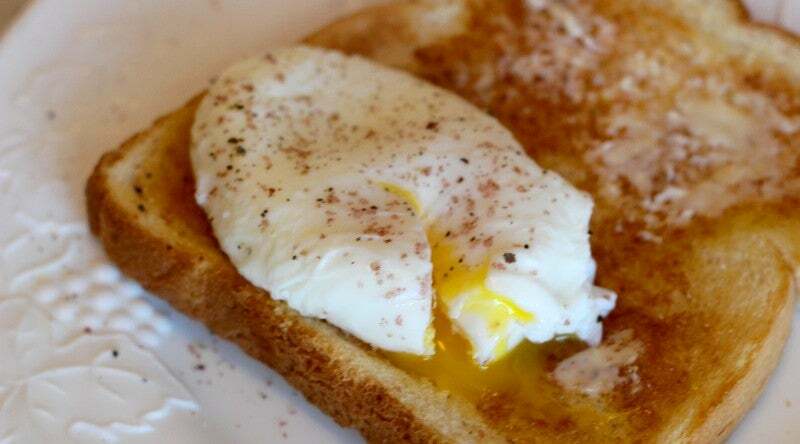 Big, violent bubbles can tear your little egg apart. Don't crack the egg directly into the pot or pan. Crack it into a ladle, little bowl, ramekin, or mug first for a more gentle transfer. Strain away watery whites through a sieve. You'll have less little whispy tendrils to deal with. 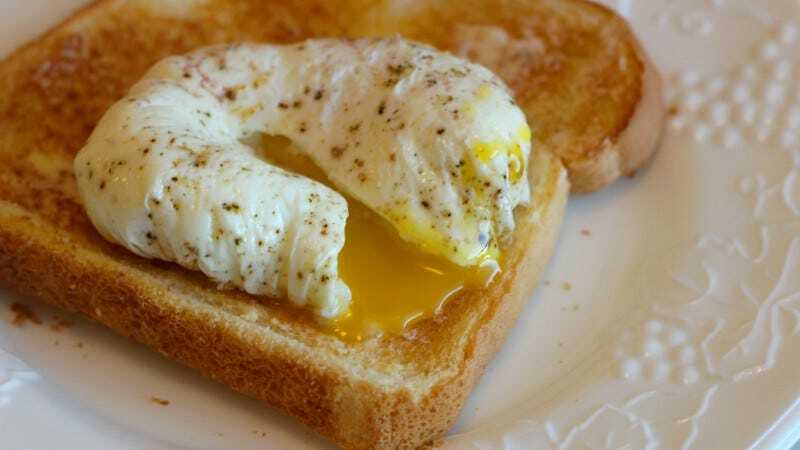 I've been poaching eggs the traditional way for a while and, unless I'm making a huge amount of them, I've never needed to mess with the classic method. Just crack your egg into a little sieve to drain away to watery portion of the white, transfer it to a little bowl or ramekin and gently pour it into a couple of inches of simmering water (or wine). 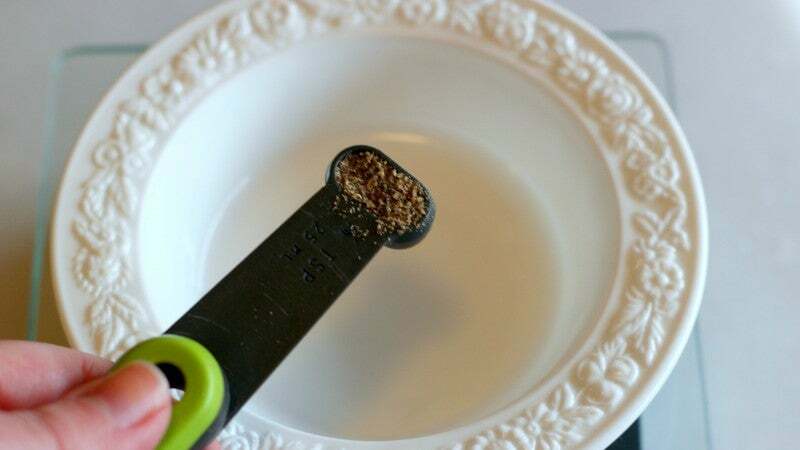 Gently remove it from the water with a slotted spoon, set it on a paper towel for a moment to absorb excess water, and plop it on top of some toast, a Benedict, a salad, or some pasta. If you are still feeling a little wary of the water, I have some training wheels for you, and those wheels are made of plastic wrap. This method takes a bit of prep, but it will give you peace of mind by physically holding your egg together while it simmers. Just cut of a square of plastic, brush it with a little oil or melted butter, and season it if you like. Then, press the plastic down into a ramekin or little bowl, crack your egg in there and tie the top with cooking twine, removing as much air as possible. What a pretty little package. Drop — or rather, gently set — the package down in some simmering water, and let it hang out for four of five minutes. 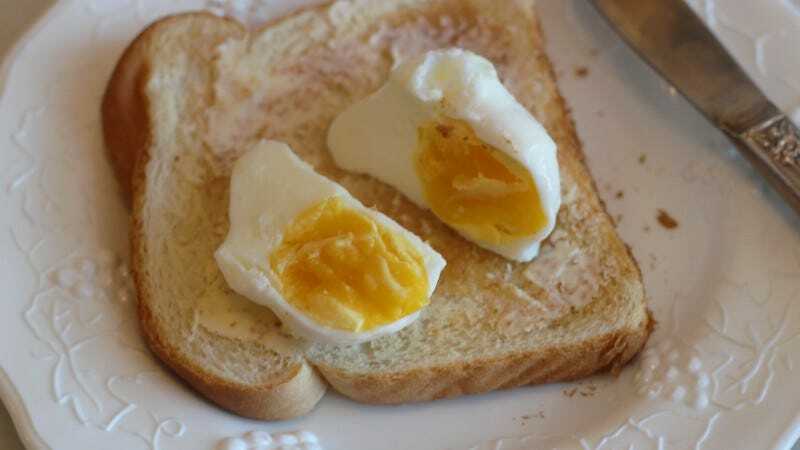 Four minutes will give you a barely set white with a completely runny yolk; five will be a bit firmer on both accounts. 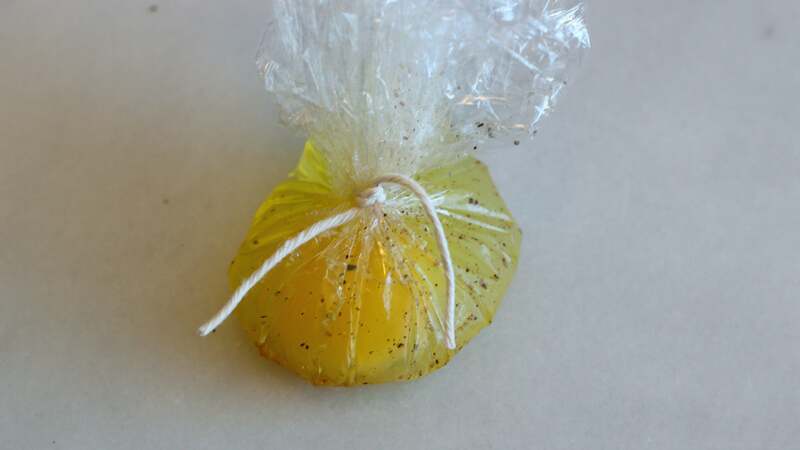 Depending on the calibre of your plastic wrap, it is possible your little bag may break, but the egg will be cooked enough by then to maintain its shape. Once it's cooked, unwrap your reward, and consume as desired. I like this method if I'm poaching a bunch of eggs at once, but it's also great for easing oneself into the poaching process. 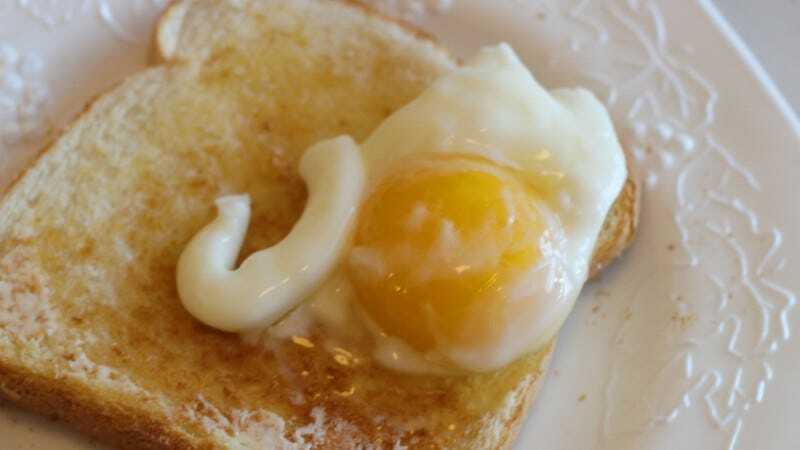 One method I do not recommend, however, is poaching in the microwave The egg often sticks to whatever vessel you're cooking it in, and I've found it gives unpredictable results. Both of the below eggs were microwave-poached for one minute and, as you can see, are wildly different. Besides, there's no reason to get all fancy with the science oven anyway. Simmering some water is literally one of the easiest things you can do, and cracking an egg isn't that hard either. I've always just brought a pot of water to the boil, then dropped to low heat so it's simmering, add some white vinegar, then gently crack some eggs straight in (cold, straight out of the fridge). No stirring the water or anything and making sure the water is simmering, not at a rolling boil. 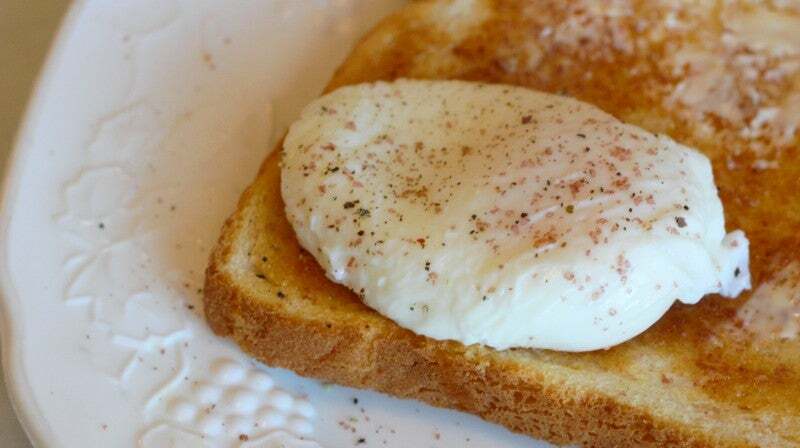 Whack some english muffins in the toaster and by the time they've popped and had some butter spread on them the eggs are perfectly cooked. The vinegar is the secret, it helps the white set faster so it doesn't go everywhere in the water. If I can be bothered I'll usually whack together a quick hollandaise in the microwave beforehand. Melt a couple tablespoons of butter in a glass jug, then throw in the juice of half a lemon, about a 1/4 teaspoon of mustard powder and an egg yolk, mix it, then repeatedly nuke it for 15 seconds and then whisk, and repeat until it emulsifies. 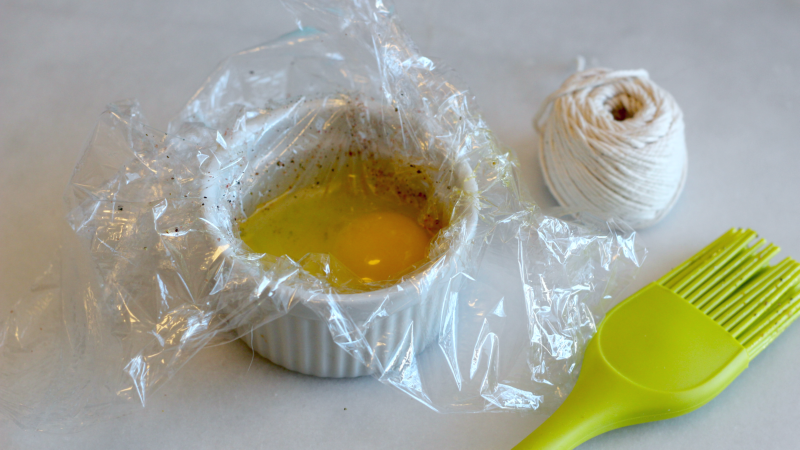 The plastic wrap method is an abomination, if you're going to cheat, just boil them.